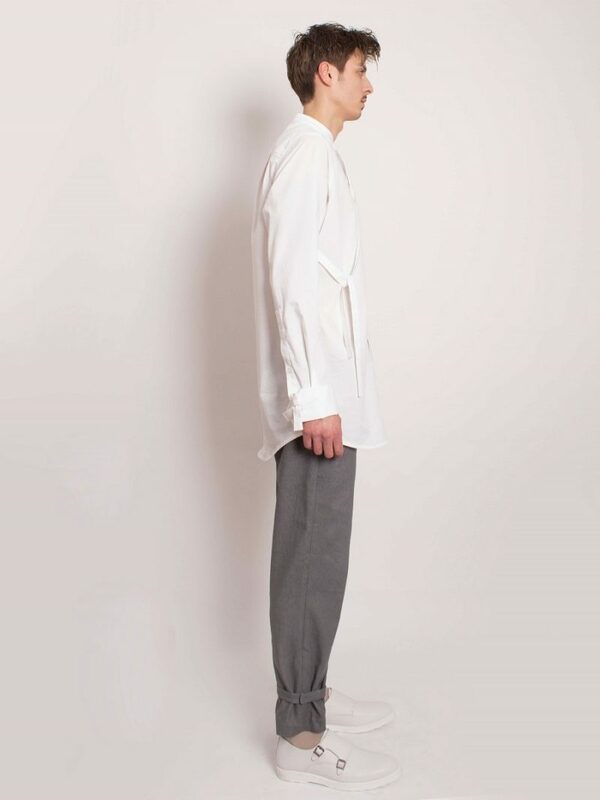 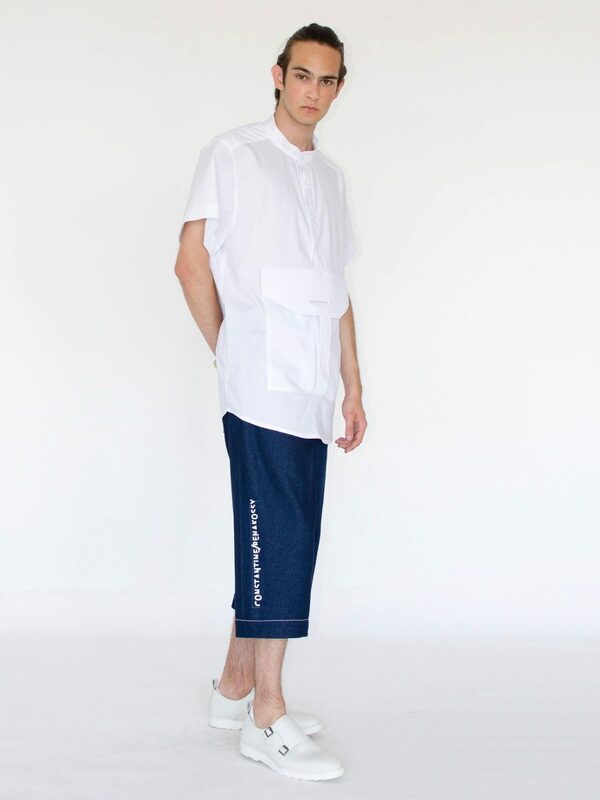 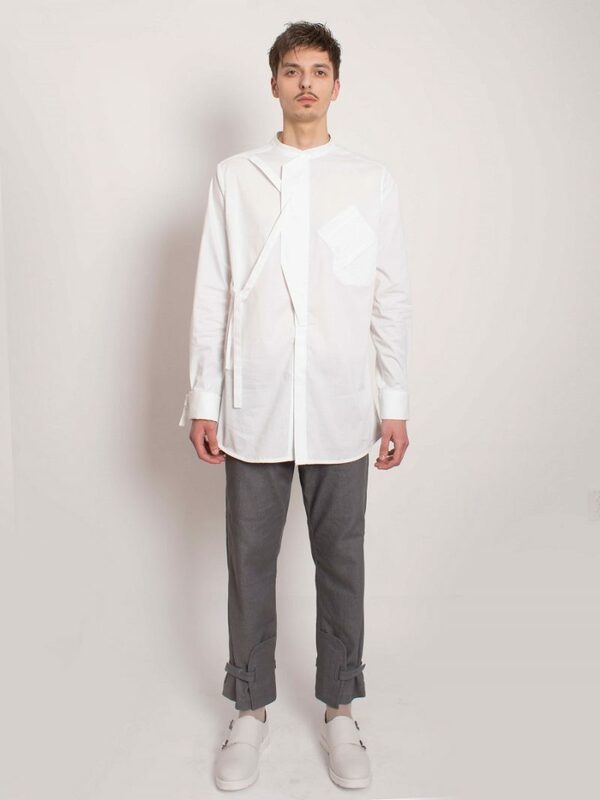 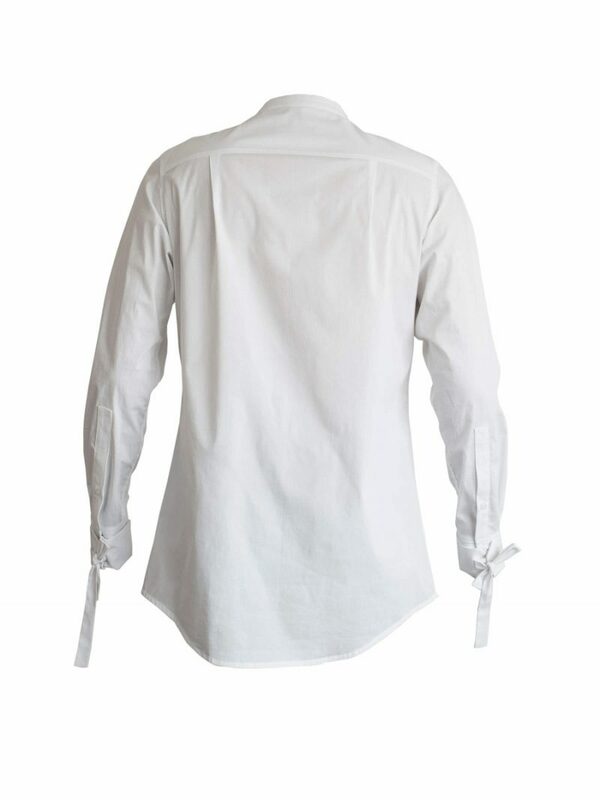 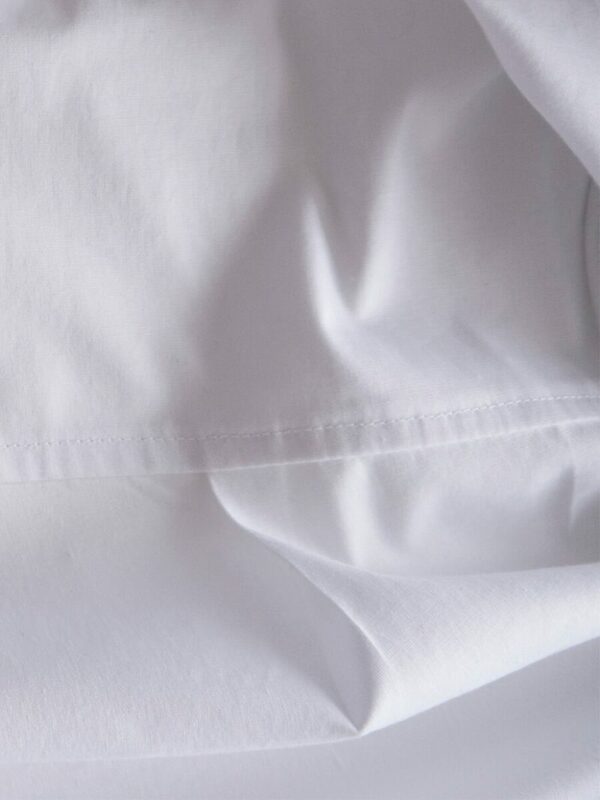 Long men’s shirt with narrow stand collar, wide cuffs and straps, crafted of white cotton. 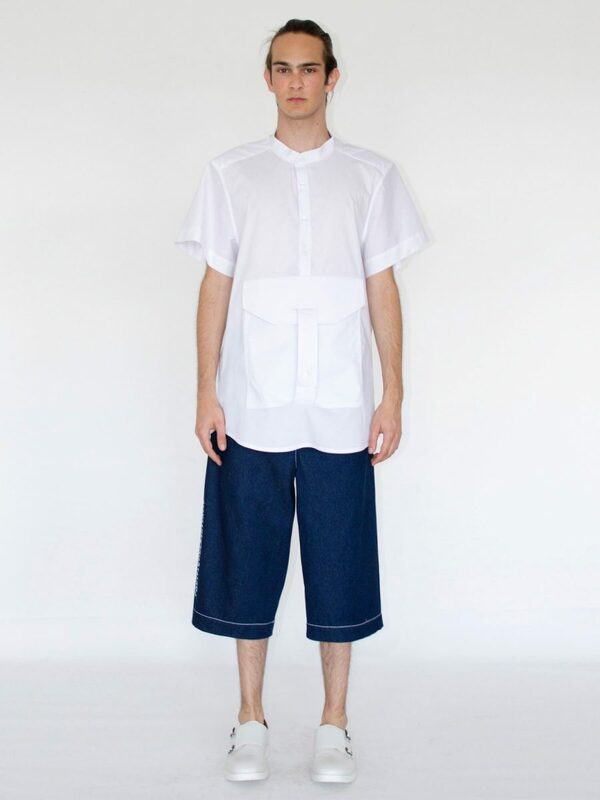 Model is wearing size 42|L| and has the following body measurements: chest 101cm, waist 88cm, hips 100cm, height 190cm. 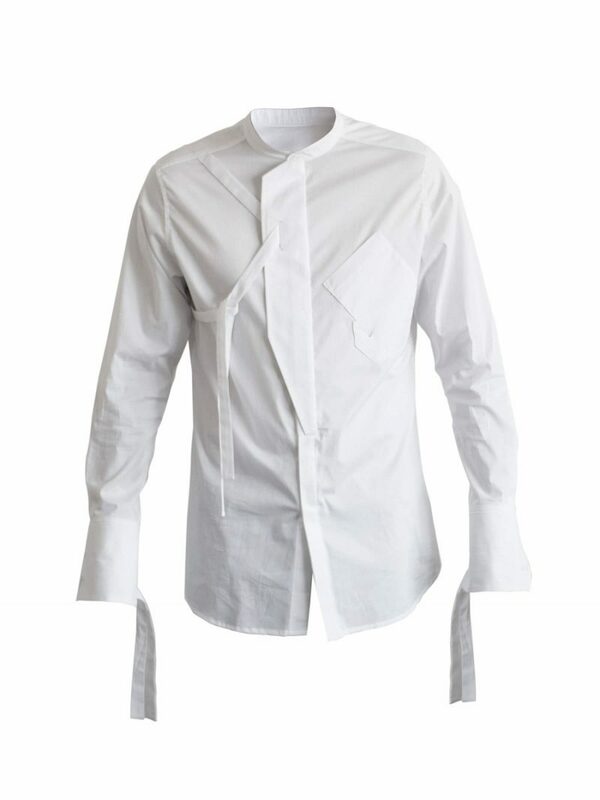 Long men’s shirt with narrow stand collar, wide cuffs and straps, crafted of white cotton. The edgy design and the geometric front details make this shirt a stand-out/statement piece. 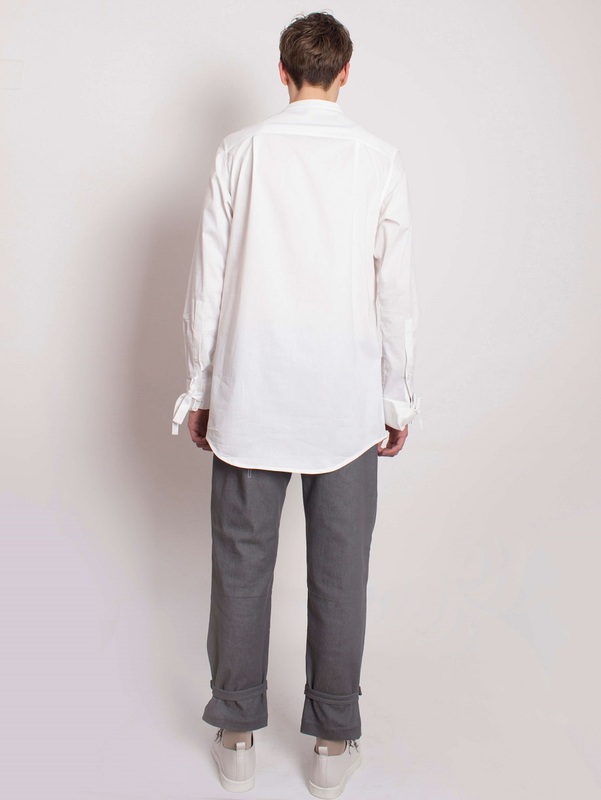 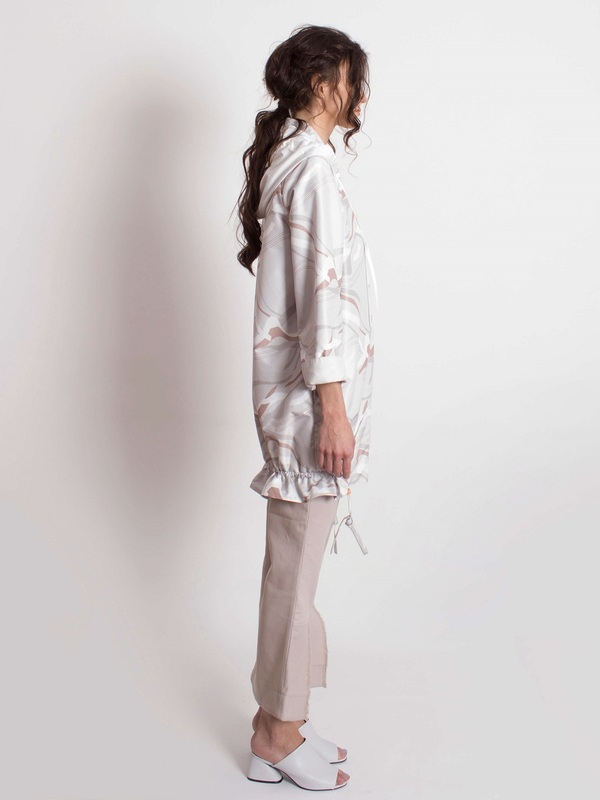 The front features details, such as the hidden button placket and the applied geometric flap.